LoveMyPerfume.com.mt is your only local online perfume shop. 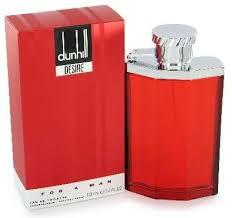 We sell new, branded, original and packaged perfumes, aftershaves and gift sets for man, women and children at very discounted prices. - To be the cheapest perfume provider on the island. - To provide an easy, quick and convinient way of making your orders. - To provide discounts and special offers periodically. - To find the most suitable delivery option for you. - To please our respected customers on special requests and make them happy. - To keep in constant touch with our customers. 1. Register an account with LoveMyPerfume.com.mt and join our community. 2. Browse our perfume catalogue from the comfort of your armchair. 3. Proceed to the shopping cart once you’ve decided on your order. 4. Choose to pick it up yourself or have it posted to your doorstep. 5. You may pay cash on pickup or else choose the PayPal option for delivery. 6. Inform us of any special request, comment and feedback and we’d be more than happy to oblige. All transactions carried out on this website are concluded in English. LoveMyPerfume.com.mt is not just a website, it’s an experience.